Welcome to DNA Queensland Electrical We're a local electrical contracting company that’s family owned and operated. We have been in the electrical, lighting and cooling industry since 1995 and have a combined electrical knowledge of 40 years. Our goal is to provide a quality electrical service for our clients. At DNA, we say: "No job is to big or too small". We honour our appointments and always confirm appointments before arrival. You will be looked after from first call to job completion. Fully licensed, Arc tick Certified and Clean Energy Council Accredited installers with the highest safety standards in the business. Your premises will be treated as if it were our own, with the greatest of care. We always tidy up after ourselves. 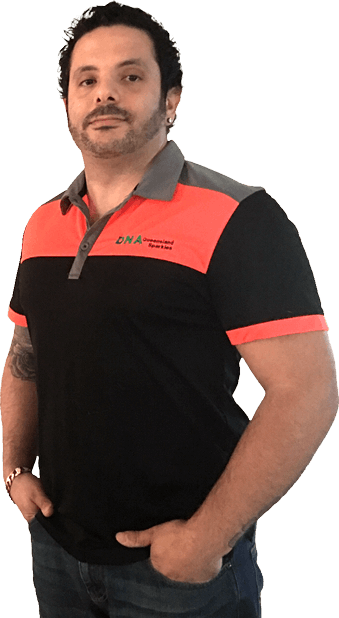 DNA Queensland Electrical is a family owned business. We are totally client-focussed and enjoy doing our best to help our clients with their electrical, solar and data requirements. Whether you are looking for a domestic or commercial electrician, DNA Queensland Electrical will always do their best for you. * Advertised pricing is based on ideal case scenario. DNA are your local solar specialists, new installations or upgrades. A full range of electrical services, domestic and commercial. Save with promotions from the best suppliers in the business.